When I first started working with polymer clay, the translucent polymer clays were quite a mystery to me. I was asking questions like: Which one is the clearest? What do you use them for? and How do you color them without losing the translucency? There are so many brands of polymer clay out there and most of them have a translucent clay in their range. To make matters worse, all of the translucent polymer clays are completely different. I had to do a lot of research to find out the answers to my questions and some of them were quite unexpected. In this article I'll do an overview of all the translucent polymer clays I could get hold of. I'll go into the advantages and disadvantages of each brand to give you a broad picture of what the different brands are like and what they are best used for. 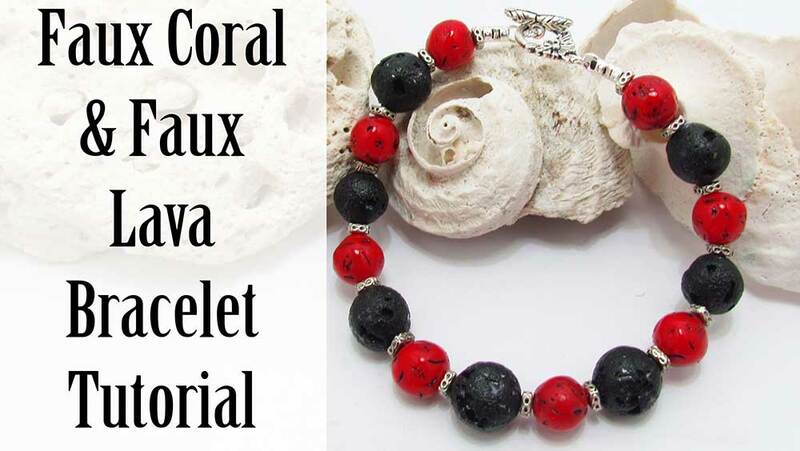 It is indispensable for creating certain faux stones, for example, jasper or tiger eye. If the stone you are imitating does not require a high level of transparency, Kato translucent works well to create a realistic looking faux effect. 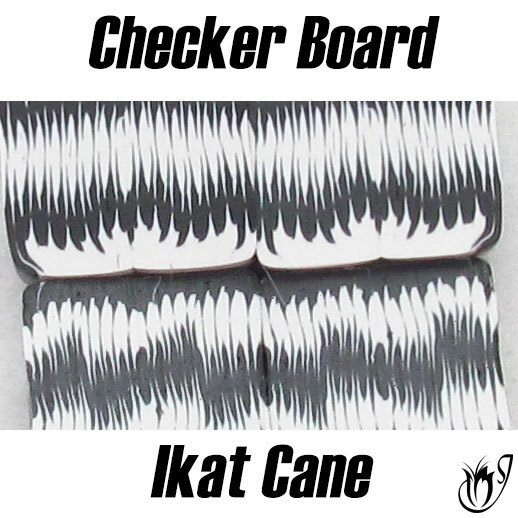 You can also use it to tone down Kato’s spectral colors to a more natural color in polymer clay techniques like mokume gane. Here are a few faux stones created with Kato translucent clay. Kato is close to the bottom of the list as far as translucency goes. It's not very transparent in thin slices and it might as well not be translucent at all at thicker settings. It has a horrible yellow tint and can’t be used in polymer clay projects where you need plain translucent clay. I recommend only using this clay to mix in with other Kato colors. 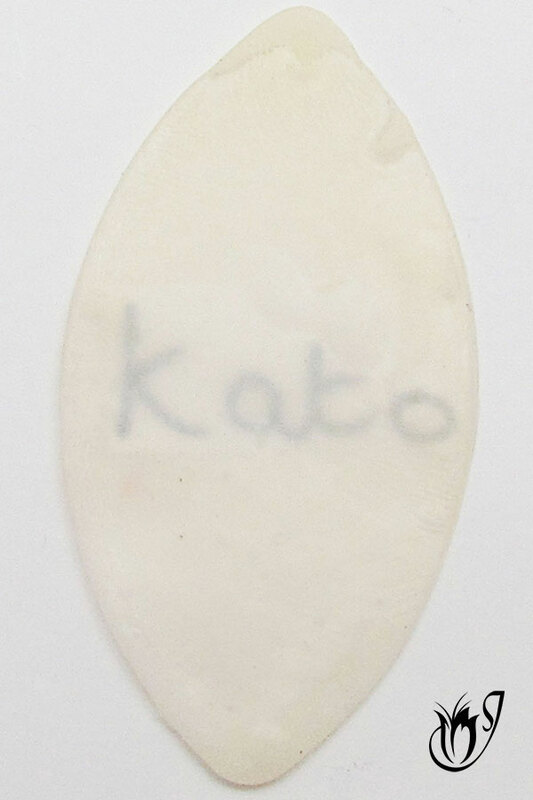 This Kato translucent chip was done on the thickest setting on the pasta machine. As you can see, it is virtually opaque. This Kato translucent chip was done on the thinnest setting on the pasta machine, and is still quite yellow. It’s very transparent at thin settings. It’s easy to get hold of. 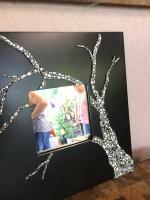 It works in an array of projects from faux effects to 3D illusions with metal leaf. It also works pretty well when multiple sheets are painted with different effects and laid on top of each other. It gives a beautiful multi layered look. Another thing I like about this translucent is its texture. It’s a lot firmer than other Premo colors and holds up well in canes where other Premo colors don’t. Premo translucent on its own has a yellow tint in thick sheets. However, at thin settings the tint is far less noticeable than the Kato. The yellow tint means that this clay works well with projects that contain red, yellow or orange tones, but it isn't great with the cooler, blue side of the color spectrum. It’s also very susceptible to burning. Whenever you bake Premo translucent clay make sure you cover it with paper on both sides of the bead to protect it from getting scorched. 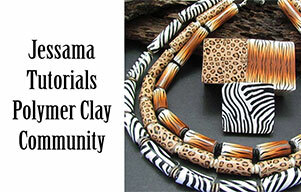 For more information on how to correctly bake your beads, please have a look at my page: How to Bake Polymer Clay. In its raw state it's a bit brittle compared to other Premo colors, so be careful when you’re cutting translucent Premo canes. This Premo translucent chip was done on the thickest setting on the pasta machine and is quite yellow. This Premo translucent chip was done on the thinnest setting on the pasta machine. You can see it is very transparent and the yellow tint is barely noticeable. Premo white translucent has less of a yellow tint than its cousin, Premo translucent. It doesn't burn as easily as its cousin. 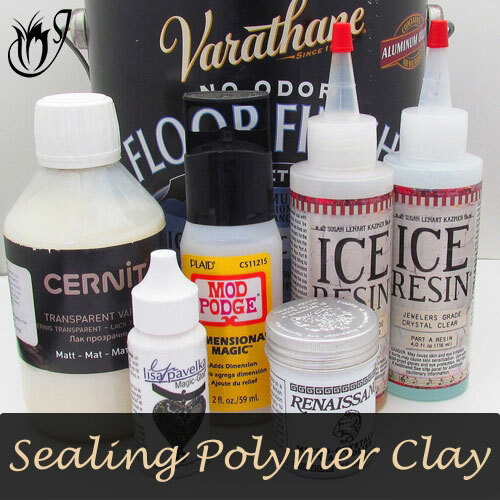 It can be used in all the same polymer clay projects as Premo translucent polymer clay and is wonderful to work with. I especially like making translucent canes with Premo white translucent. This polymer clay bead was made using a translucent lace cane. You can see the swirling blue background through the translucent windows. 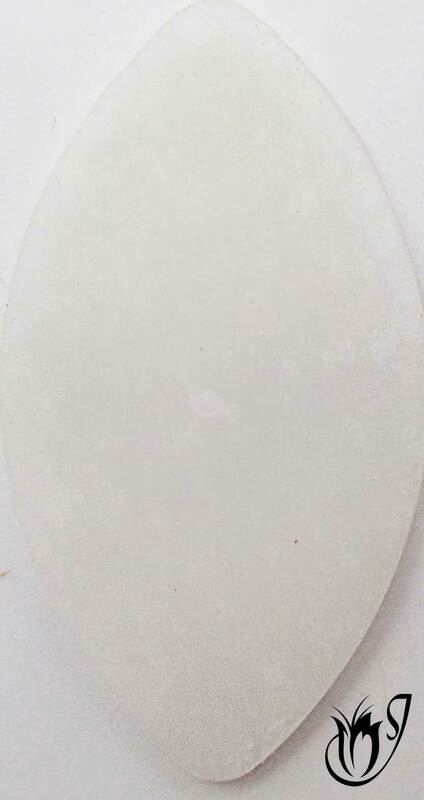 Premo white translucent contains optical brighteners. This means that it will glow blue under black (ultraviolet) light and beads will have a blue tint to them in the shade. It’s not a big problem, but it’s good to know. Because of this, Premo white translucent is best used in polymer clay projects containing blue and green tones. It can look a bit strange if mixed with the warmer side of the color spectrum. Premo white translucent is also brittle in it's raw state, just like its cousin, and you should be careful when cutting canes. 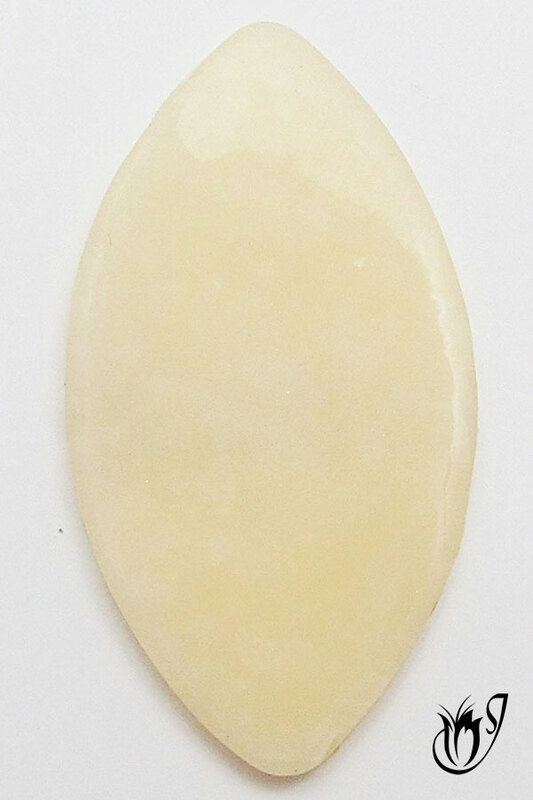 This Premo white translucent chip was done on the thickest setting on the pasta machine and is far less yellow than its cousin, Premo translucent. 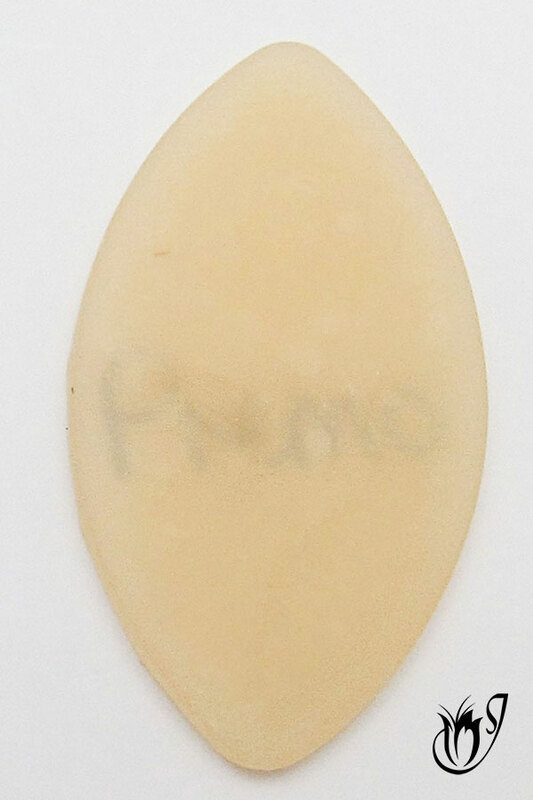 This Premo white translucent chip was done on the thinnest setting on the pasta machine and is beautifully transparent and almost tint free. 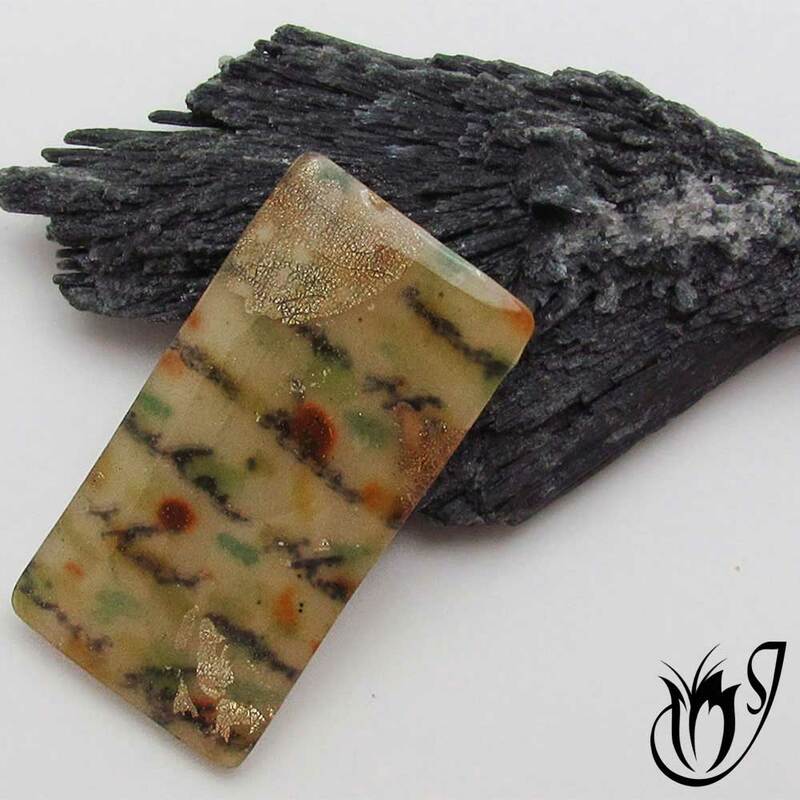 I’ve found that it’s one of the best translucent polymer clays for making faux stones like jade and agate. It bakes to a lovely white translucent and has no tints to it. It can also be used in translucent canes and 3D effects with metal leaf. 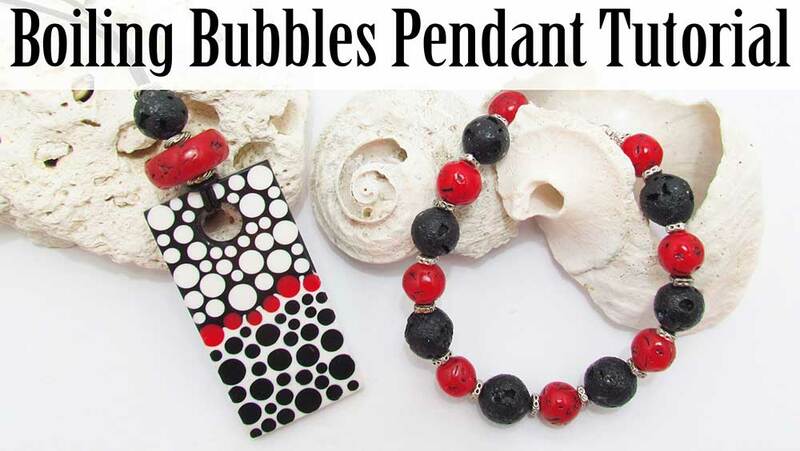 These polymer clay beads were made using Cernit polymer clay. 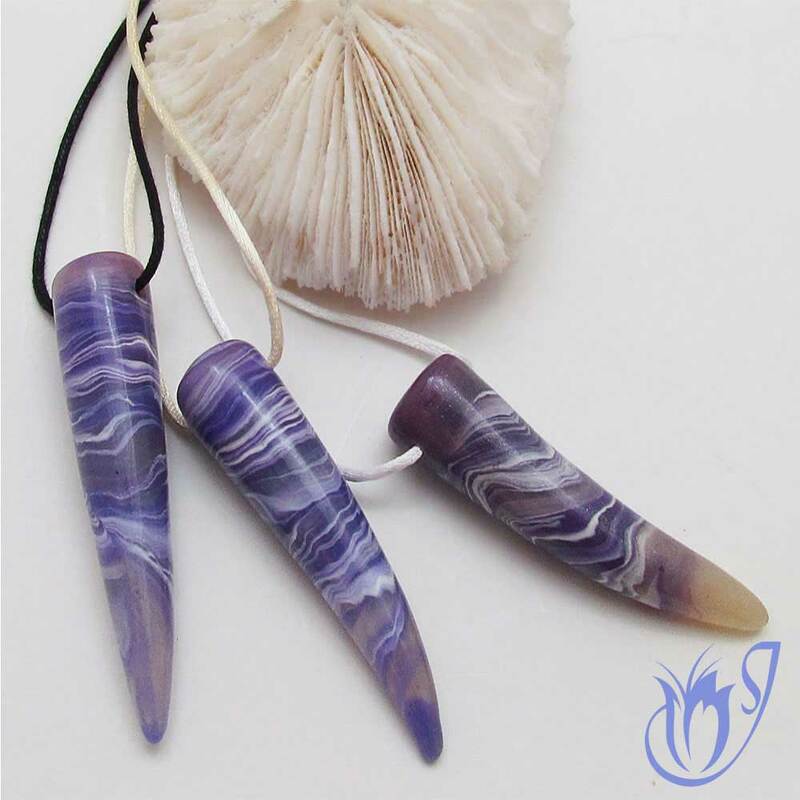 Click here to go to the tutorial for these faux agate daggers. 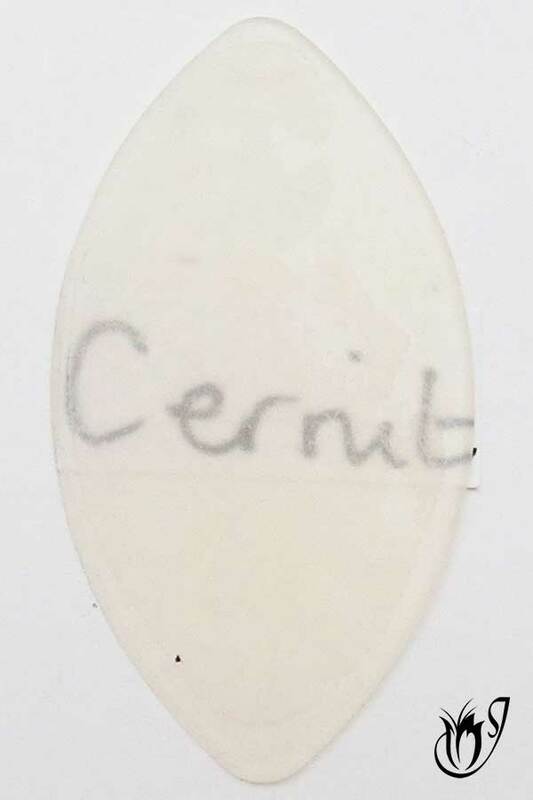 Surprisingly, I’ve found that fresh Cernit translucent is too soft and sticky. I’ve heard lots of people complaining that this polymer clay is hard, but trust me the fresh stuff is the exact opposite. I had to leave it a few weeks to air before I could work with it. Well I guess this is one way you can tell if you’re getting fresh Cernit. 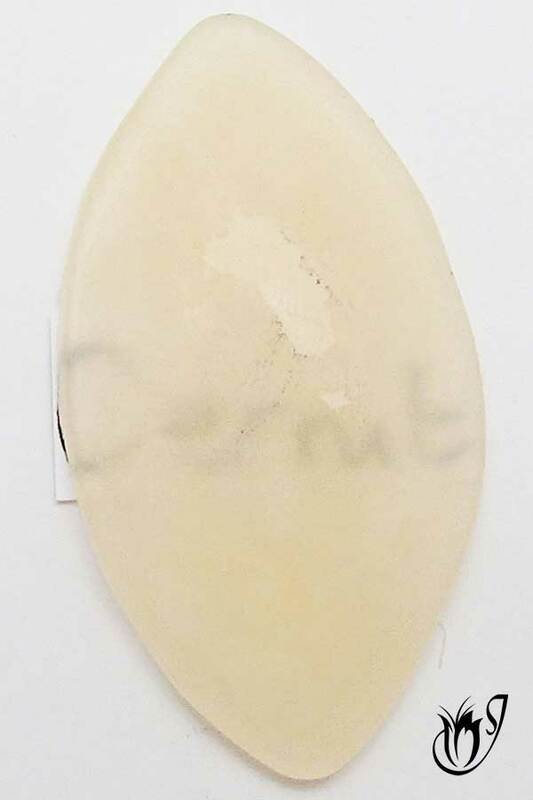 This Cernit translucent chip was done on the thickest setting on the pasta machine and is the most transparent and least yellow of the clays so far. This Cernit translucent chip was done on the thinnest setting on the pasta machine and is almost completely transparent. Pardo translucent is the most translucent of all the translucent polymer clays. It’s practically see through. So if you are looking for a ridiculously translucent polymer clay, then this is the clay for you. You can go nuts with the faux effects and translucent layering. 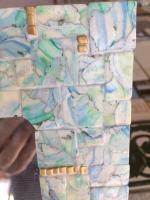 This is an example of multiple layering using translucent polyclay. 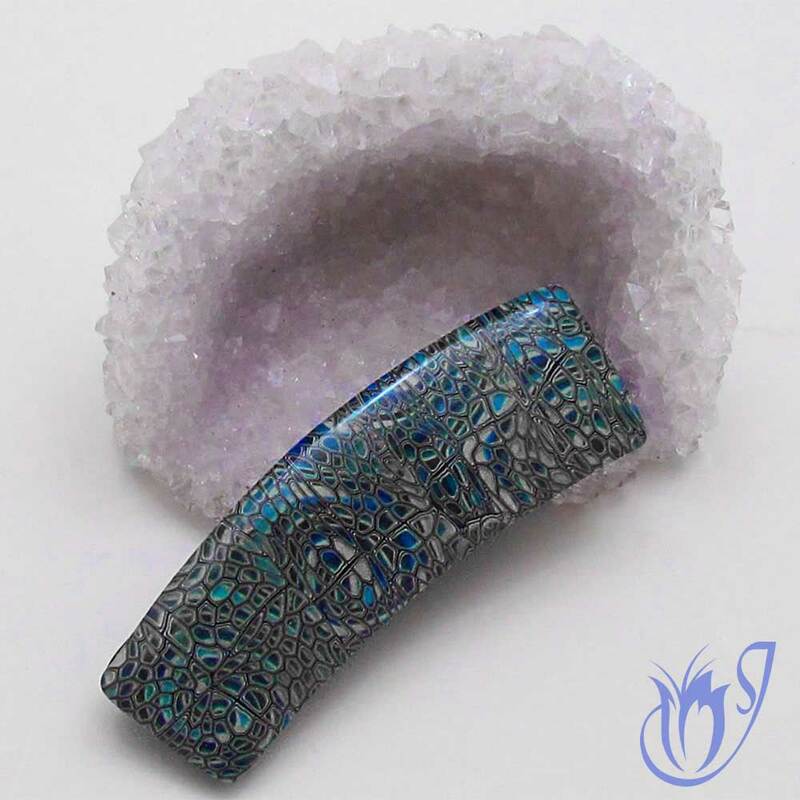 This bead was made with Pardo and has four layers of translucent in it. This polymer clay is quite difficult to get hold of. It is much more expensive than any of the other polymer clay brands. The clay is very hard if you don’t get a fresh packet. Old Kato is as soft as butter compared to old Pardo. I’ve heard that the fresh packets also have the same problem as Cernit; they’re too soft. The translucents in Pardo have a horrible habit of plaquing. 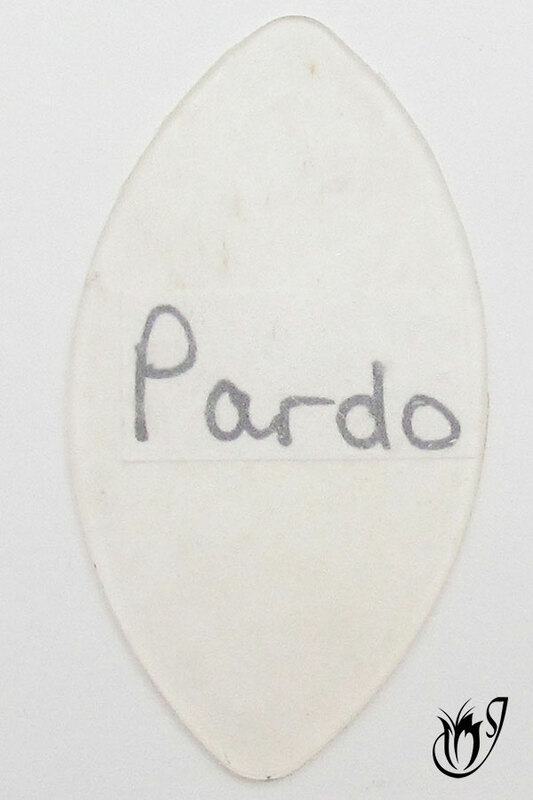 This is shown in the picture below with a thick piece of Pardo. All translucent clays have a certain amount of plaquing, but Pardo is the worst. You have to be super careful when conditioning this clay as any air bubble, no matter how small, will end up causing a whole lot of plaquing. Pardo can be rewarding if you have the patience to work with it and can afford it, but if not, you might want to consider a different brand like Premo. 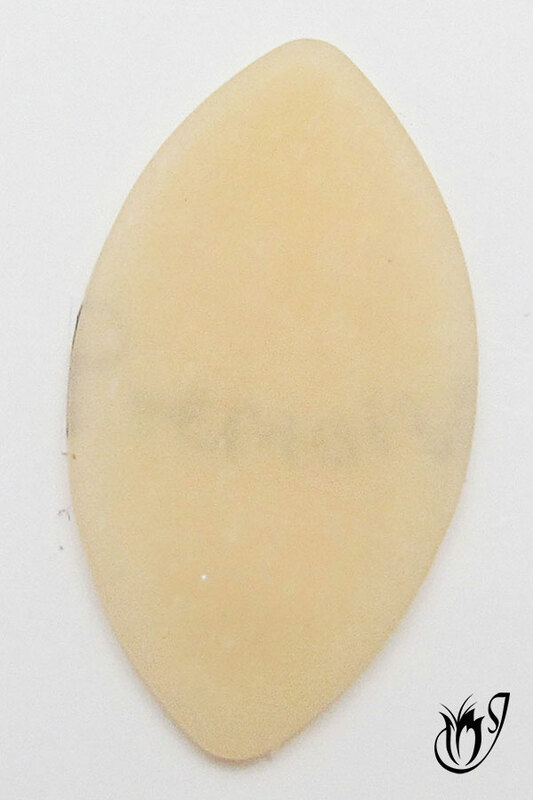 This Pardo translucent chip was done on the thickest setting on the pasta machine and you can see the plaques in this photo. It also hasn't got a yellow tint like all the other translucent clays discussed. 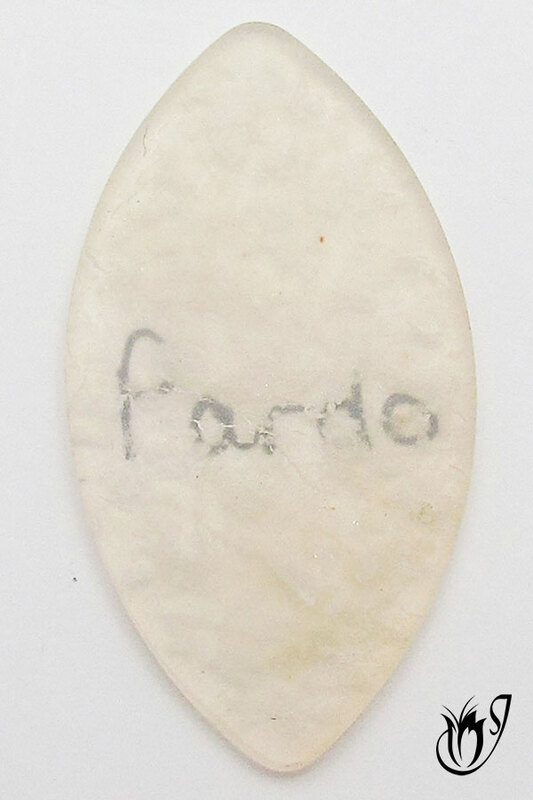 This Pardo translucent chip was done on the thinnest setting on the pasta machine. As you can see, this is by far the most translucent polyclay I have covered. Fimo translucent is the last translucent clay I came across, as it’s one of the hardest to get hold of. There are definitely some upsides to this clay as well as a few downsides. Fimo translucent clay is the whitest translucent I can find. It’s cotton white when baked and has no tint whatsoever. So if you’re having trouble with other translucents having a yellow tint, this will be a big benefit. Fimo translucent tends to plaque a lot just like Pardo. 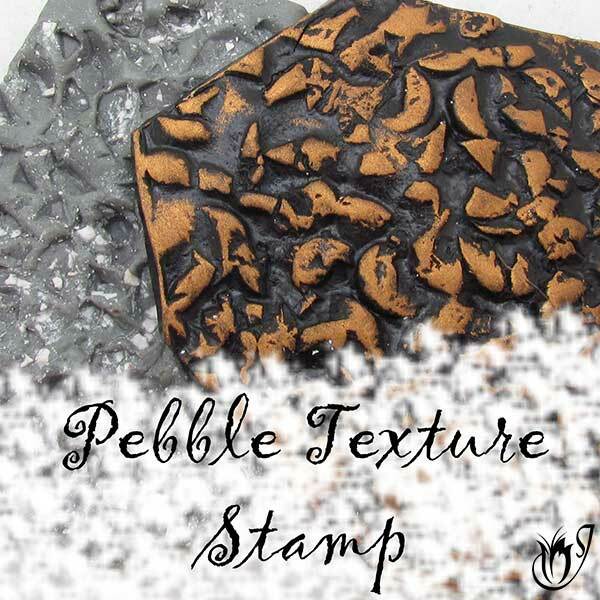 This is fantastic for faux stones and other natural polymer clay techniques. But this benefit is a two-edged sword. It can cause problems if you want a clear result. 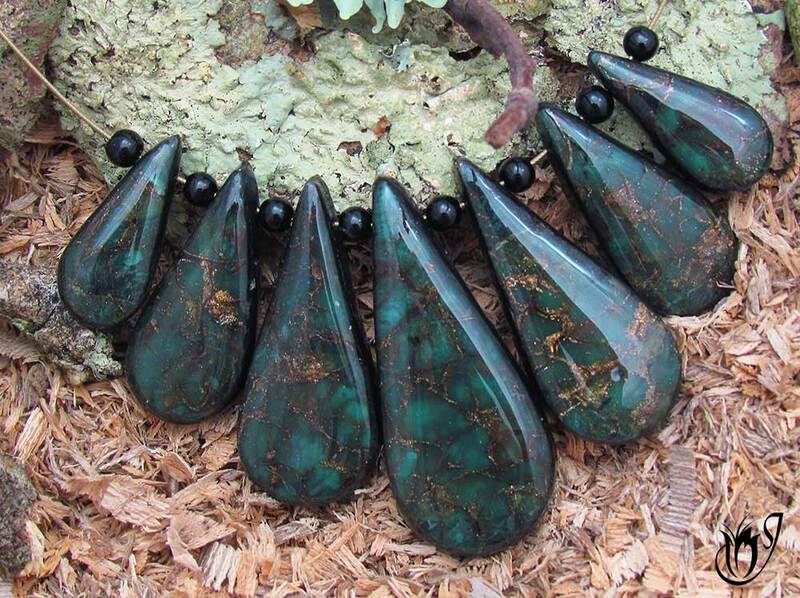 These faux emerald beads were made using Fimo translucent. You can see the plaquing in the faux stone which adds a realistic effect. The biggest of these is that it just isn’t that translucent. It’s white, but almost opaque as seen in the photos below, so this clay isn’t the best for the polymer clay techniques that need really translucent clay. As mentioned above, Fimo translucent polymer clay plaques a lot, so it’s not going to work if you want a perfectly clear piece. Another thing to keep in mind when using this translucent is the fact that it scorches so easily, and I mean really easily. You have to keep a constant eye on it and tend to it as though it were a child. It can get on one’s nerves. On the whole this translucent is by far my least favorite on the list. I don’t recommend it unless you’re looking for a semi-translucent with no tint. This Fimo translucent chip was done on the thickest setting on the pasta machine and you can see the plaques in this photo if you look carefully. It is very white, but not at all translucent. This Fimo translucent chip was done on the thinnest setting on the pasta machine and you can see it is still virtually opaque. 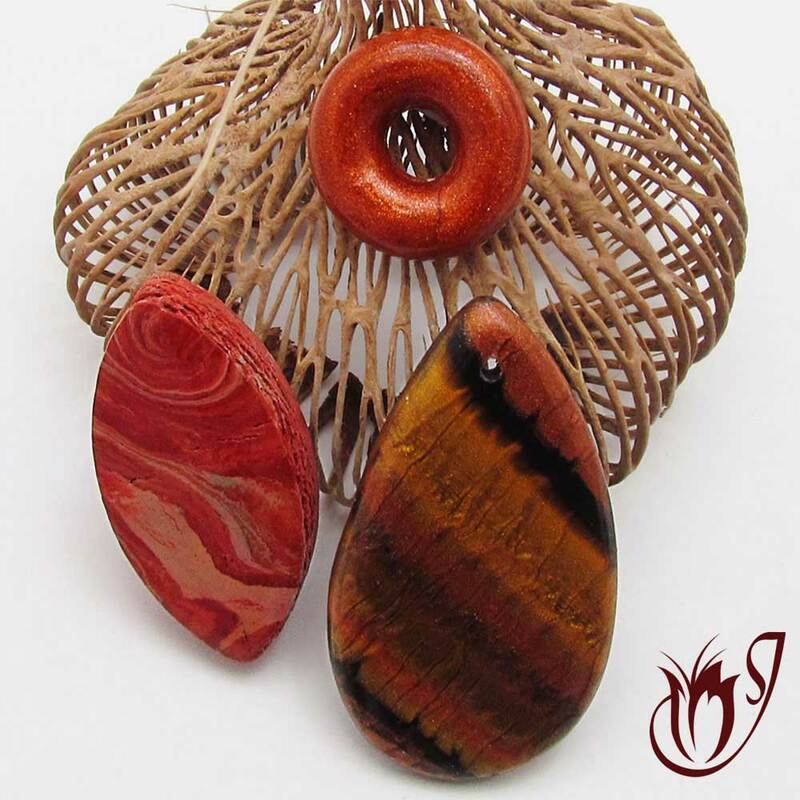 Kato translucent is a great clay to use when toning down colors and making faux stones like tiger eye and jasper. However that is about all you can use it for. It's terrible to use for polymer clay projects where you need clear translucent clay and has a horrible yellow tint to it. Premo translucent is much clearer than Kato translucent and can be used in a wide variety of projects ranging from faux emerald to wonderfully interesting effects with metal leafs. It can also be used in canes as a background. Premo translucent is quite brittle after sitting for a while so slice canes with care. It's also very susceptible to burning and has a yellow tint when used on it's own. 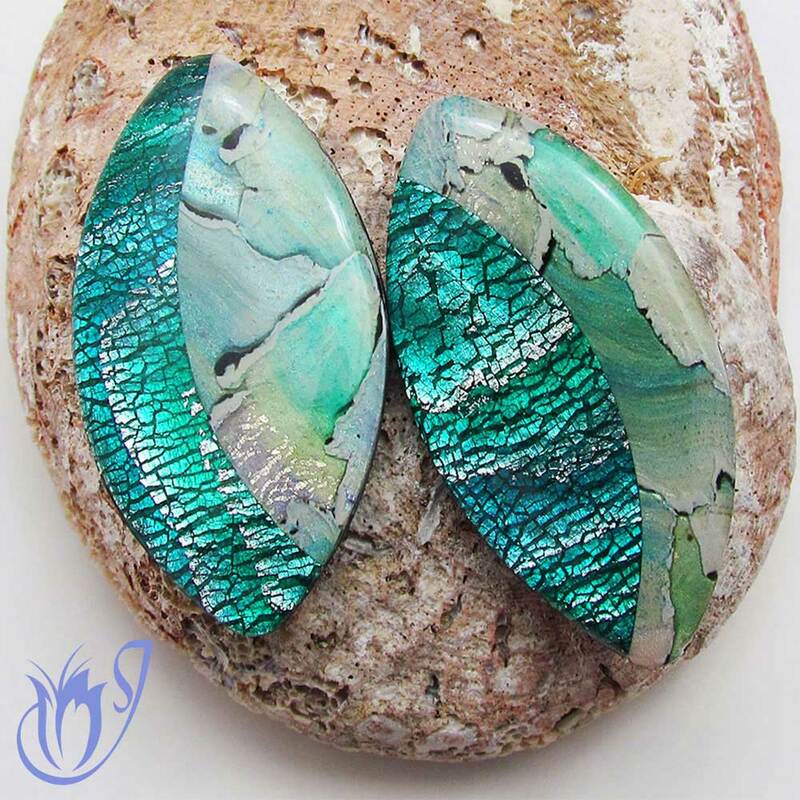 Best used in polymer clay designs tending towards the warmer side of the color spectrum. 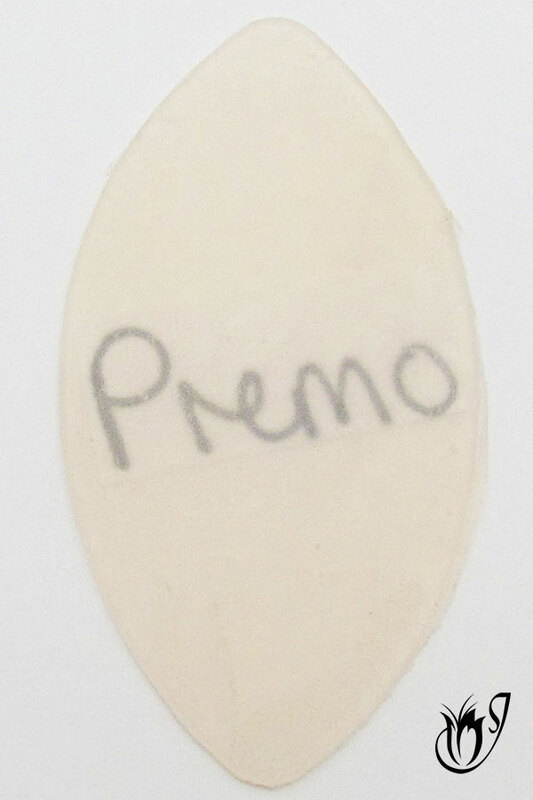 Premo white translucent is almost the exact same as Premo translucent except it doesn't have a yellow tint and doesn't burn as easily. It does, however, have a rather strange liability. It glows blue under ultraviolet (black) light. This means that it will have a blue tint to it in the shade and is best used in projects tending towards the cooler side of the color spectrum. 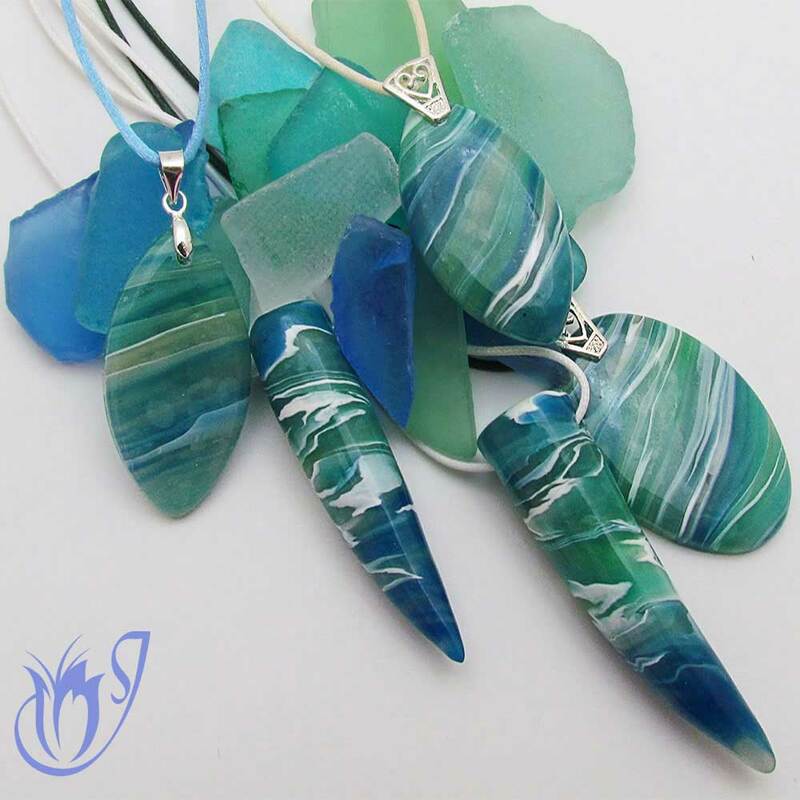 Cernit translucent is another fairly clear polymer clay and works wonderfully in faux effects and translucent canes. It has no tint to it whatsoever, but it's just too soft. If you get a fresh block of Cernit you're going to have to wait a few weeks before it's firm enough to work with. Pardo translucent is by far the clearest translucent clay available. You can place four sheets of thin Pardo translucent on top of each other, each with a different effect, and still be able to see through to the bottom sheet. This translucent clay has a lot of problems to go with it though. 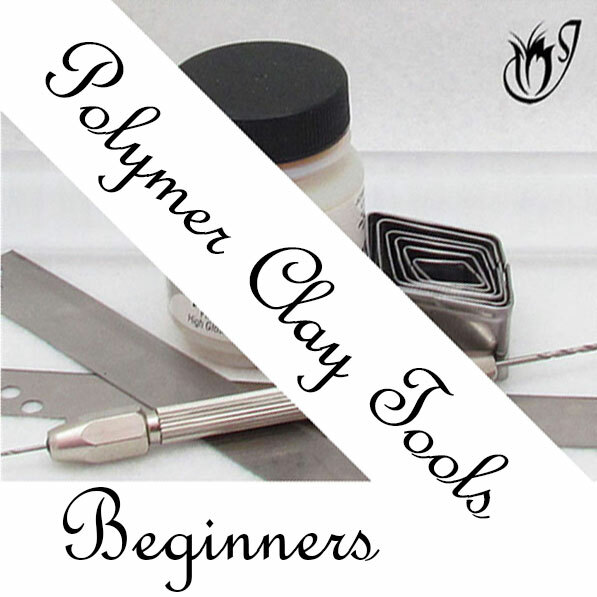 It's much harder to find and is much more expensive than other polymer clay brands. It's also a lot harder to work with as even the slightest air bubble will cause significant plaquing. This clay can be rewarding, but you need a lot of patience and it's expensive. 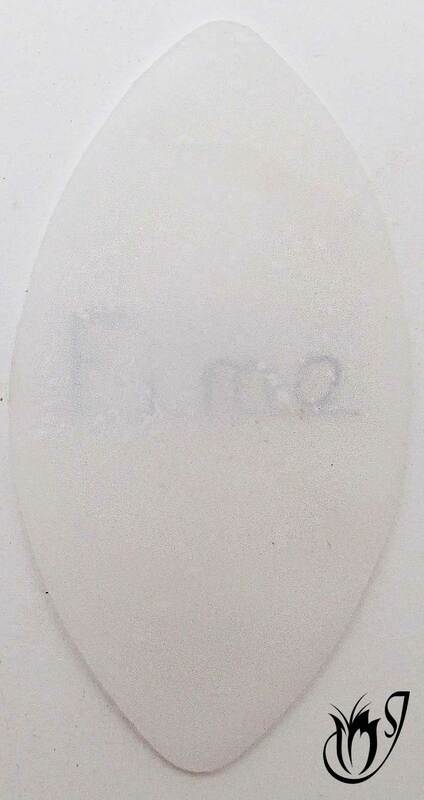 Fimo Professional translucent is the whitest translucent I have tested. On the other hand, it plaques a lot, which may or may not be helpful to you. It's not easy to get hold of, and most importantly, it isn't really translucent. I don't recommend it. In conclusion, if I had to recommend one translucent clay over the others to get started with, it would be Premo white translucent. On balance it gives the best results the most easily. However, each of the translucent clays reviewed has its own strengths and weaknesses. You should aim to try them all out to see which one you are most comfortable using for different polymer clay projects. It will be well worth the effort. 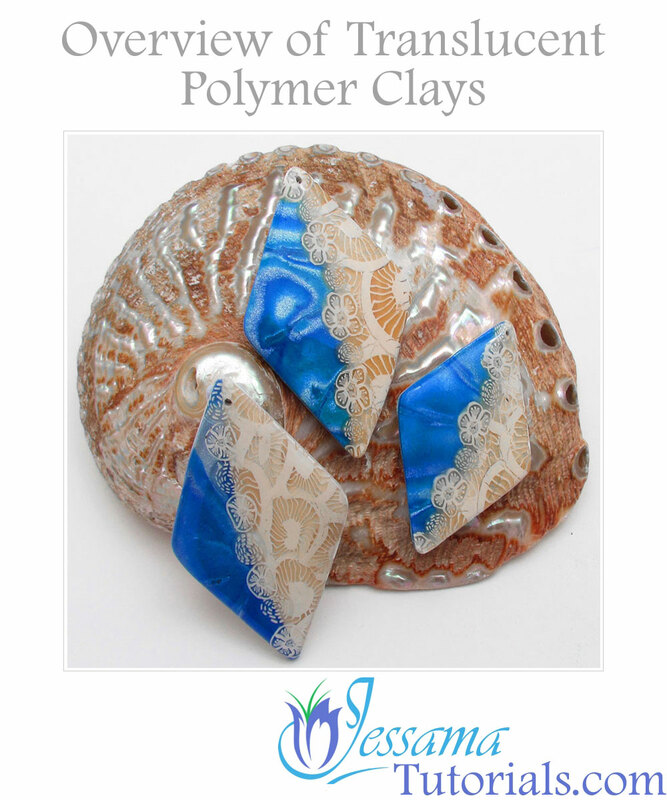 Once you’ve figured them out, translucent polymer clays will change your polymer clay experience for the better. You’ll be able to reach new heights with 3D illusions and create faux stones that look more real than ever. Remember, a little experimenting goes a long way towards improving your finished product. Go and have some fun! Let me know how it goes in the comments below and please don't forget to like and share with your friends.